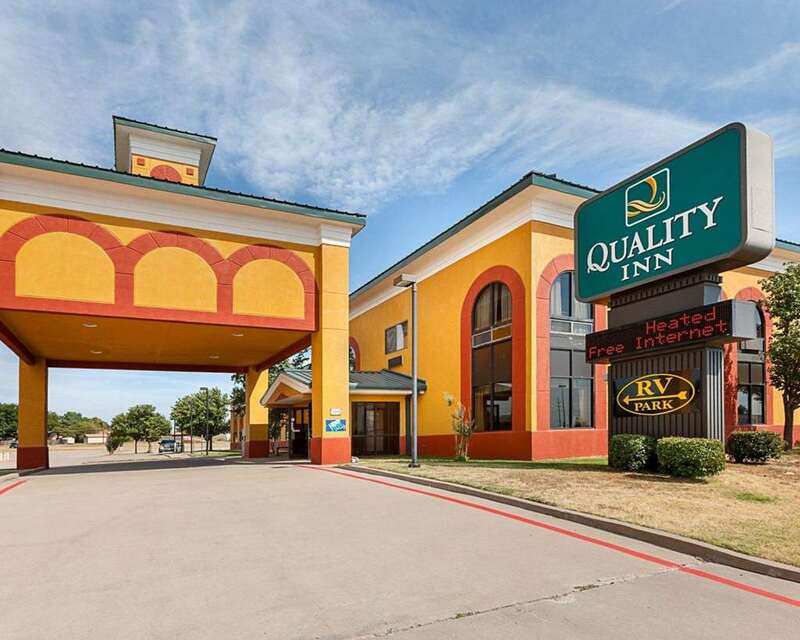 Get more for your hard-earned money at the Quality Inn hotel in Childress, TX near Wood Creek Lake. Our hotel is located right off Highway 287 near other attractions like the Childress County Heritage Museum, Childress Regional Medical Center, Childress Lake and Baylor Lake. Get more value with amenities like free breakfast, free WiFi, guest laundry facilities, free coffee and an indoor pool. Rooms include coffee makers, desks, irons and ironing boards, hair dryers, Q beds and TVs. Select rooms have even more amenities, such as microwaves and refrigerators. Ask about our rooms with a hot tubs. Also, earn rewards including free nights and gift cards with our Choice Privileges Rewards program.